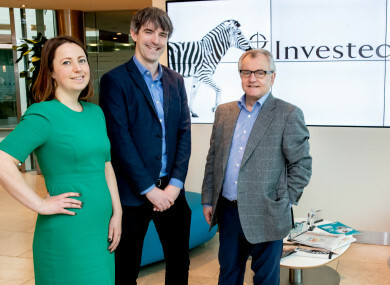 Niall Kelly, deputy editor of The42, accepting the inaugural Investec 20x20 Media Award on behalf of Eoin O'Callaghan, with judging panel chair, Anna Kessel and Michael Cullen, Investec CEO. THE42′S EOIN O’CALLAGHAN has won the inaugural Investec 20×20 Media Award for his piece on Anne O’Brien. The Dublin-born footballer enjoyed a hugely successful career on the continent in the 1970s and ’80s. Her death in 2016 made headlines in Italy, France, Sweden and elsewhere as she was remembered for her many achievements on the pitch. The new prize, part of the 20×20 campaign, has been established to recognise ‘excellence in Irish journalism focused on women in sport’. “Anne O’Brien was dubbed ‘the greatest footballer you’ve never heard of’,” says Anna Kessel, judging panel chair. Email “Retelling of Anne O'Brien's incredible story takes inaugural 20x20 award”. Feedback on “Retelling of Anne O'Brien's incredible story takes inaugural 20x20 award”.